Sharon Osbourne has abandoned Saara Aalto on her homecoming tour to Helsinki, according to Digital Spy. X Factor host Dermot O’Leary was forced to step into the fold after Sharon jetted off the America, where she lives and continues filming commitments with shows such as The Talk. The final three X Factor contestants traditionally visit their hometowns in the week leading up to the final. They speak to their families, locals and supporters in typically emotional moments for the contestants. However, they are usually accompanied by the mentor who helped get them to that stage. Sharon reportedly did not join Saara as she performed in Helsinki for a whopping 10,000 people, but will meet up with the blossoming star later on the campaign trail. Saara is the bookies’ favourite to win The X Factor 2016, and odds for her to win the competition are as low as 8/11 from StanJames.com. She will compete in the weekend’s final alongside Boys contestant Matt Terry and Group 5 After Midnight. All three of the finalists have appeared in the bottom three of the competition in previous weeks, which is unusual, so the door for the winner could be wide open. Fans will be able to watch Saara’s homecoming tour (without Sharon) this Saturday on ITV at 8pm. 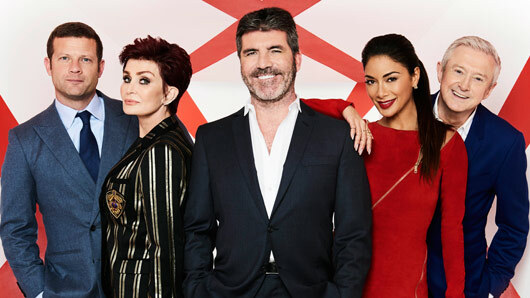 The X Factor continues on Saturday at 8pm on ITV. « What time will Sherlock return on New Year’s Day?